Fascinated with the secrets still surrounding the Soviet Union's race against the Americans to put a man on the moon, Jed Mercurio proposes a compelling scenario: What if the Americans weren't the first? 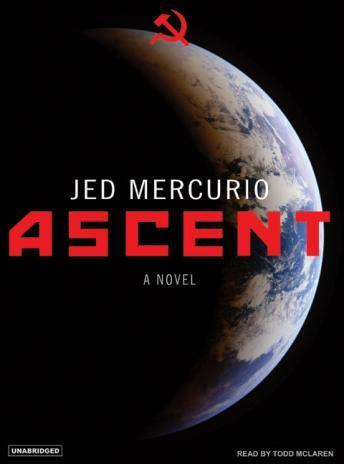 And with its inscrutable but intriguing hero, Yefgeni Yeremin, a brilliant Soviet cosmonaut, Ascent allows us to imagine what that terrifying journey might have been like. Yeremin, a Soviet MiG pilot, rises from the privation of a Stalingrad orphanage to the heights of the cosmonaut corps. During the Korean War, as a member of an elite squadron, he shoots down the most American fighter jets-a feat that should make him a national hero, but because the Soviets' involvement in the war is secret, Yeremin's victories go unreported. When he is recalled from obscurity to join the race to the moon, he realizes it is his chance for immortality. In hypnotic, deceptively spare prose, Mercurio tells a haunting tale that questions the power of ideology and the nature of fate.